The BioFlo Urinary Management System is revolutionary in its design and advancement of the state of urinary catheterization. 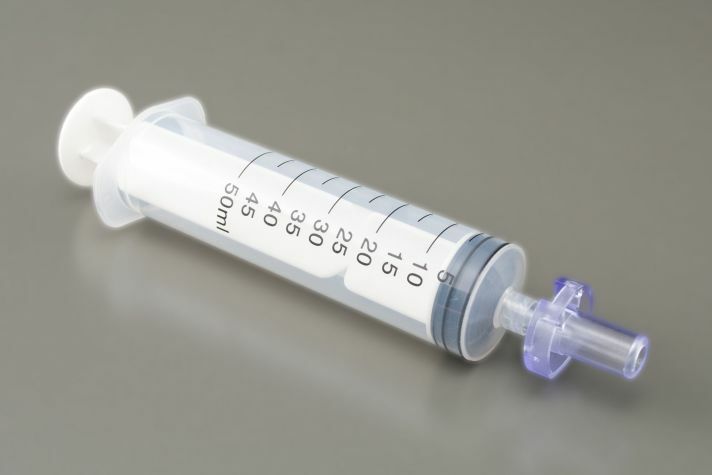 Designed to be attached to an indwelling, generally Foley, catheter. The heart of the system is the patented BioFlo AutoValve Model #AU17. 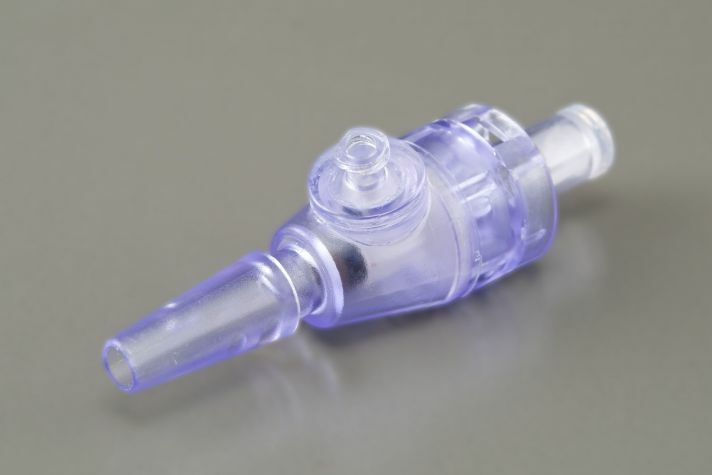 An in-line catheter valve with an automated release mechanism, the AutoValve closely replicates the natural fill and release function of the bladder. 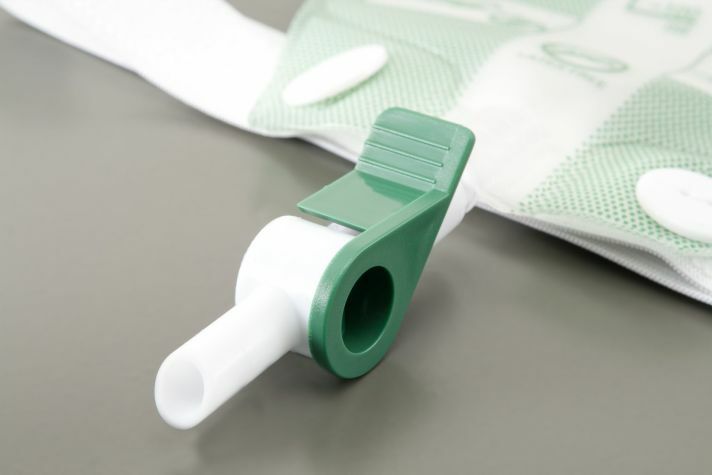 When urine in the catheter, located above the AutoValve, reaches 20 centimeters of head pressure, two ceramic magnets separate inside the BioFlo AutoValve allowing urine to flow into a BioFlo Quick Disconnect collection bag. 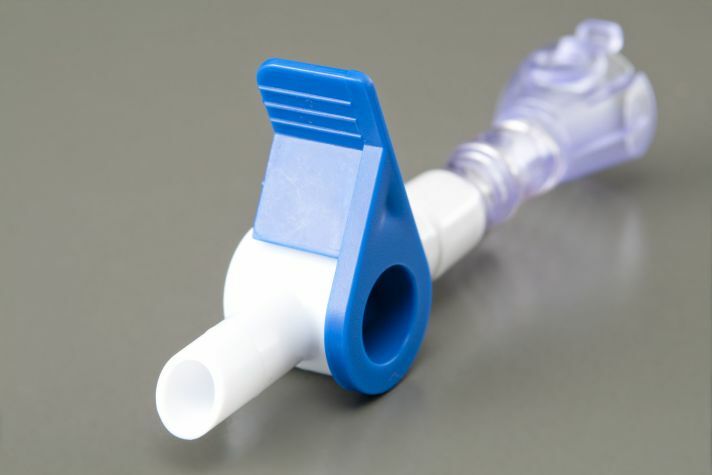 The AutoValve automatically closes upon voiding the bladder, which perpetuates the fill and void cycle. 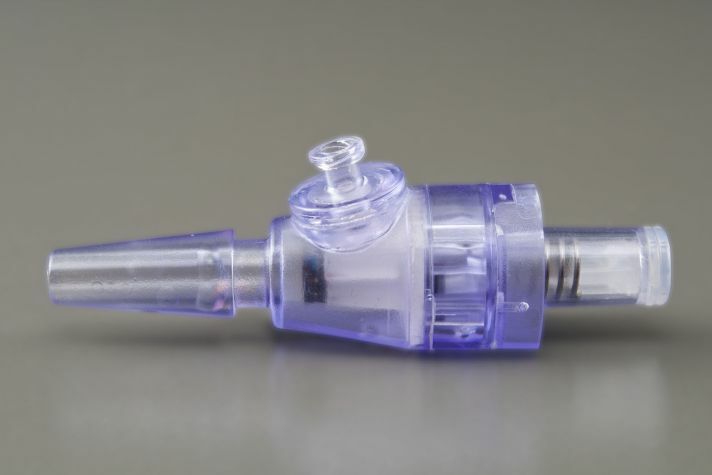 The BioFlo AutoValve includes a luer lock sampling and irrigation port to eliminate the risk of needle sticks and infection. All BioFlo Urinary Management products feature the revolutionary BioFlo Quick Disconnect. 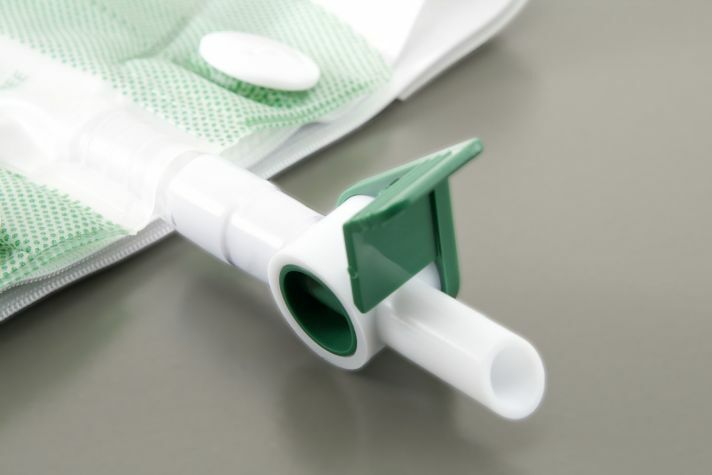 The patented BioFlo Quick Disconnect system allows for safer, faster and easier attachment and detachment of BioFlo collection bags. The folding or clamping of drain tubes during collection bag changes is no longer necessary. 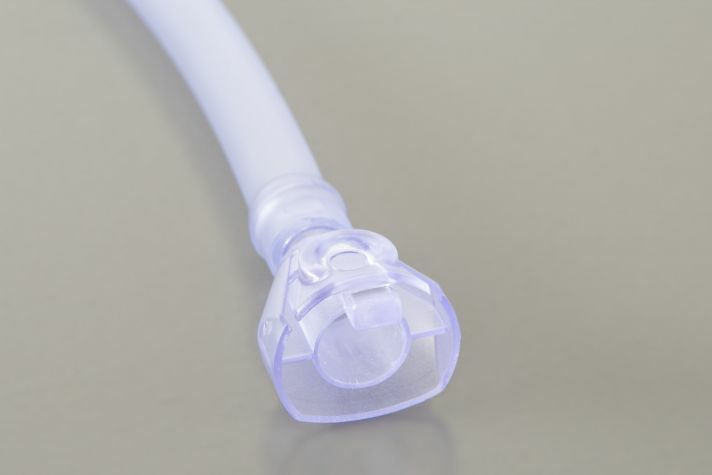 With the push of a button, the Quick Disconnect enables the collection bag and tubing to be temporarily removed while maintaining a closed system. The Quick Disconnect eliminates difficult collection bag changes, accidental spillage and unnecessary trauma resulting from trapped or pulled collection bags during user movement or relocation. The BioFlo ActiValve is a unique, patented attachment designed to give BioFlo users greater freedom and mobility, while maintaining control of their bladder. 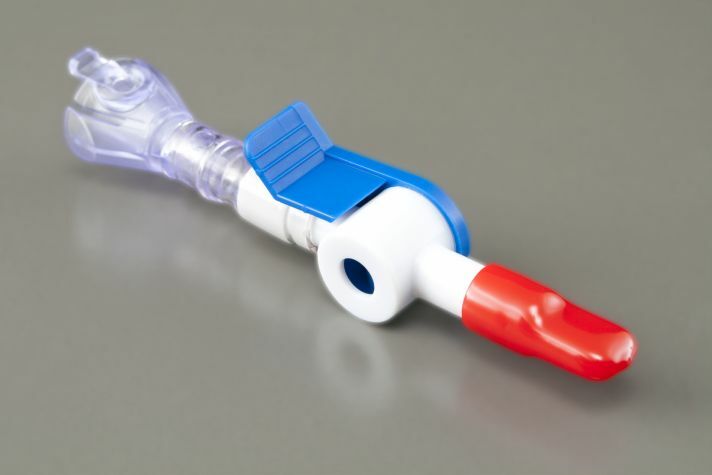 Created with the active user in mind, the ActiValve is a small, manually operated, flip-to-open drain tube that connects directly to the BioFlo AutoValve via the Quick Disconnect feature. 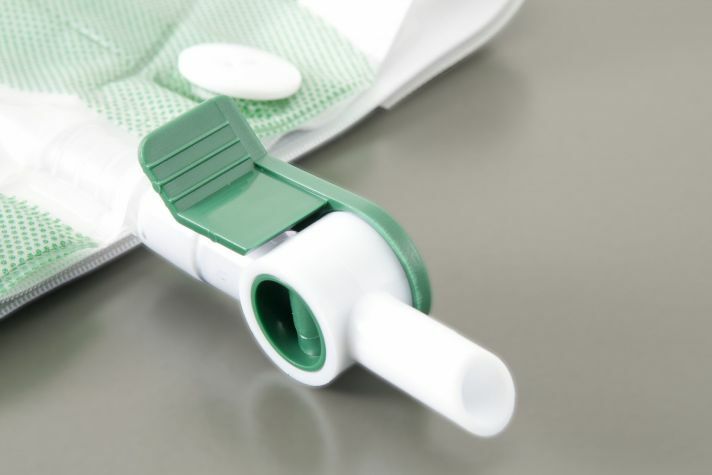 The ActiValve offers its users the option of manually voiding their bladder when full, without having to connect to a bag or remove the BioFlo AutoValve. 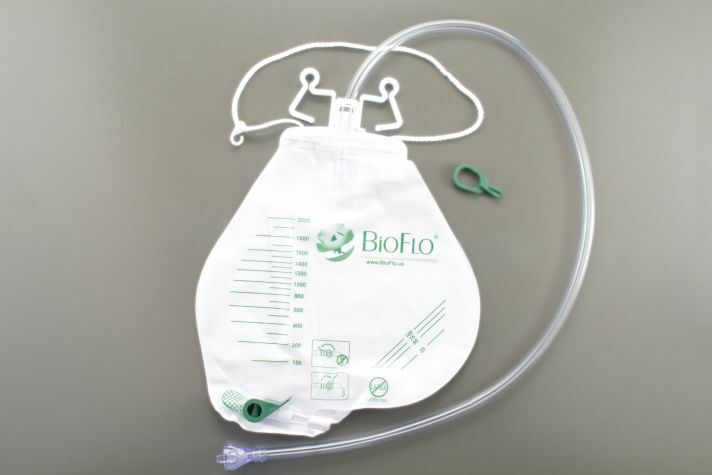 When a collection bag is disconnected from the BioFlo Urinary Management System, the BioFlo AutoValve is secured in the closed position, allowing its user to temporarily move about freely, without the limitations of a collection bag or the fear of any unexpected voiding or leakage. 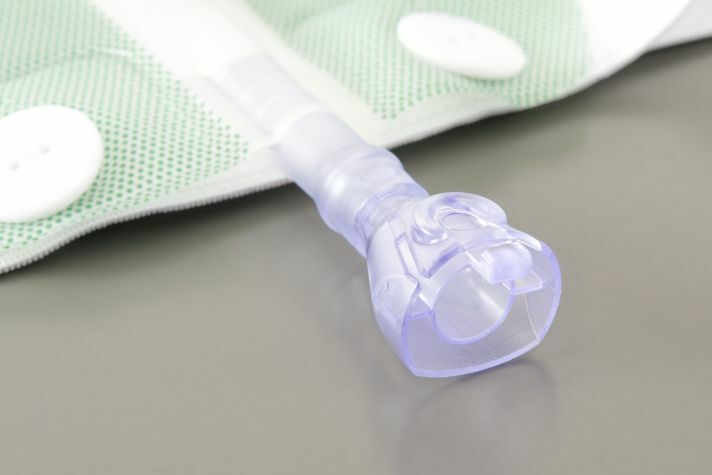 When the AutoValve is in the secured position, disconnected from a collection bag, it will not allow the bladder to void, even when the necessary release pressure is met. 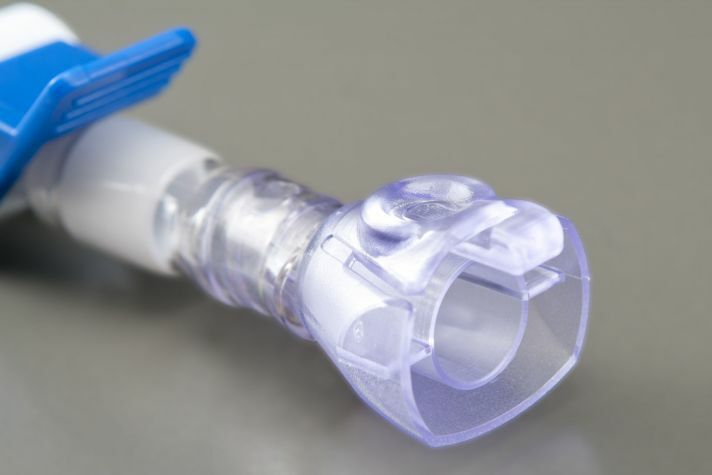 The BioFlo ActiValve was designed to give appropriate, more active catheter users a greater range of control in these situations. 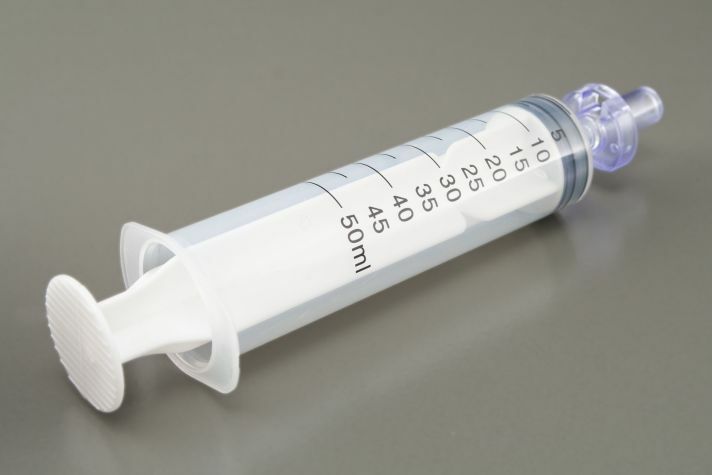 Appropriate catheter users are generally those who have retained or developed certain bodily sensations indicative of the need for voiding their bladder, or those catheter users who are on a timed bladder release cycle. 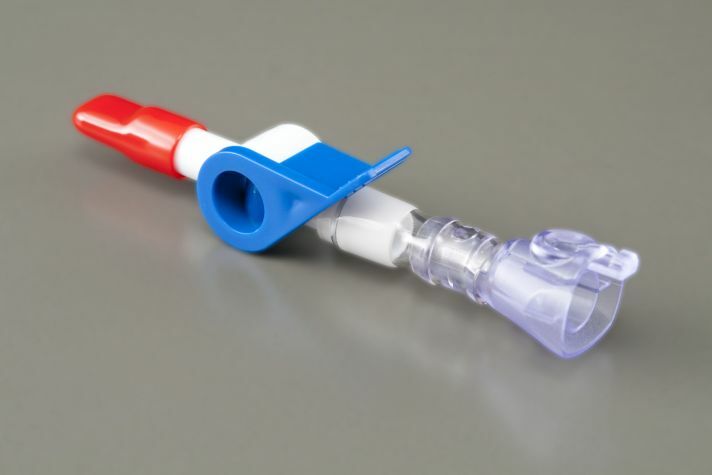 When the ActiValve is connected, and the AutoValve’s required release pressure has been met, its user can manually void their bladder without the need of a collection bag or removal of the BioFlo AutoValve. 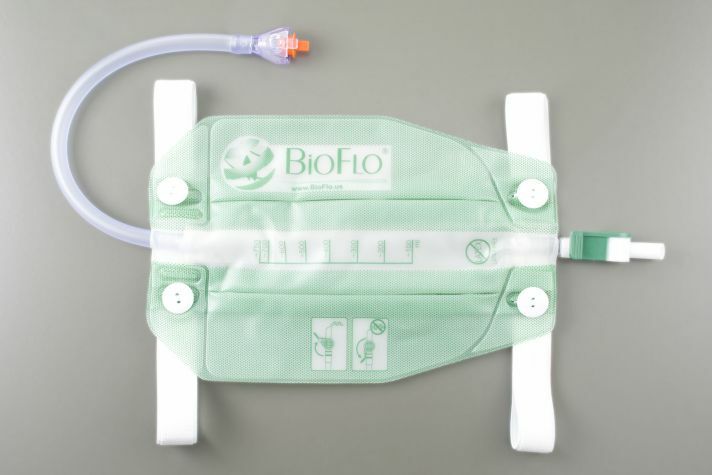 Once the need for greater mobility or freedom from a collection bag has ceased, the user can simply detach the BioFlo ActiValve and reattach a collection bag, all in the span of a few seconds, via the BioFlo Quick Disconnect. The revolutionary BioFlo Quick Clean cleaning attachment makes collection bag cleaning an easy and sanitary process, while protecting against accidental cleaning solution spillage. The Quick Clean attachment is a two part system that connects to the collection bag via the BioFlo Quick Disconnect. 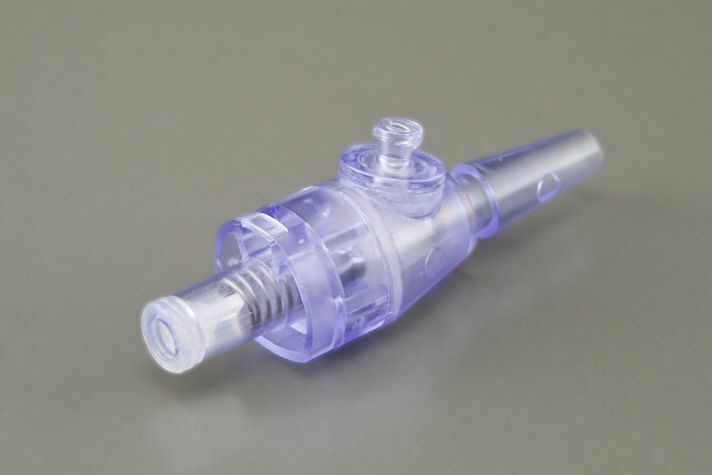 Made up of a 60 cc, screw tip, luer lock syringe, inserted into a specialized Quick Disconnect fitting, the Quick Clean attachment securely snaps into the collection bag’s Quick Disconnect fitting, allowing the cleaning solution to be injected into the bag through a sealed connection. With the BioFlo Quick Clean system, cleaning your collection bags becomes a quick, no-mess process. The BioFlo Quick Disconnect Night/Bed Bag is a patented design by BioFlo. This 2,000 ml collection bag includes an anti-reflux valve to prevent backflow into the drain tube, a flip valve for voiding the bag’s contents and a sturdy clip with drain tube support for attaching the bag to a bed frame. Intended for use at night or when the wearer will be sedentary for prolonged periods, the Night/Bed Bag offers a no-fuss, no-mess alternative to conventional collection bags. All BioFlo Urinary Management products feature the revolutionary BioFlo Quick Disconnect. 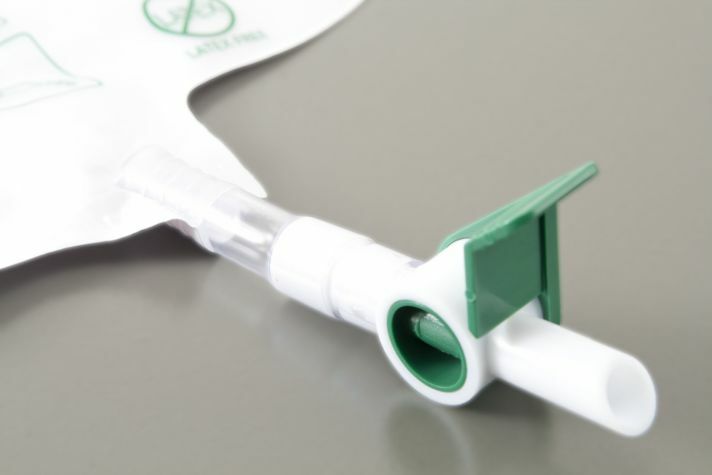 The patented BioFlo Quick Disconnect system allows for safer, faster and easier attachment and detachment of BioFlo® collection bags. The folding or clamping of drain tubes during collection bag changes is no longer necessary. 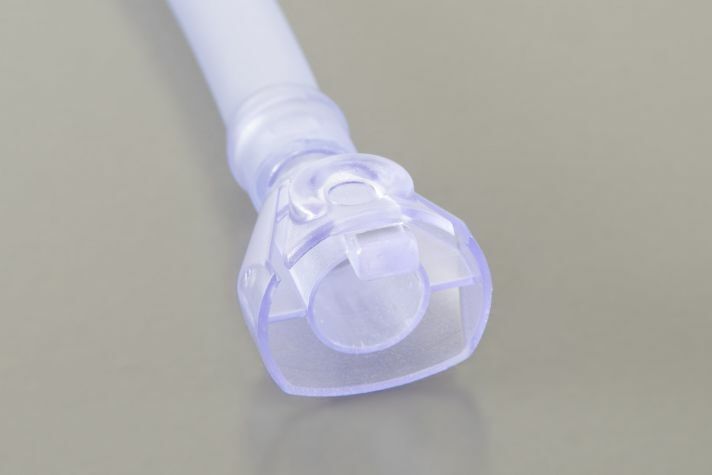 With the push of a button, the Quick Disconnect enables the collection bag and tubing to be temporarily removed while maintaining a closed system. The Quick Disconnect eliminates difficult collection bag changes, accidental spillage and unnecessary trauma resulting from trapped or pulled collection bags during user movement or relocation. The revolutionary BioFlo Quick-Clean cleaning attachment makes collection bag cleaning an easy and sanitary process, while protecting against accidental cleaning solution spillage. The Quick-Clean attachment is a two part system that connects to the collection bag via the BioFlo Quick Disconnect. 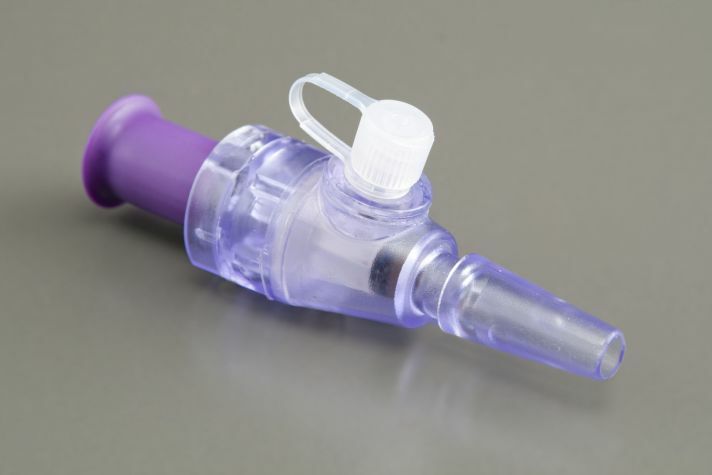 Made up of a 60 cc, screw tip, Luer-Lok syringe, inserted into a specialized Quick Disconnect fitting, the Quick-Clean attachment securely snaps into the collection bag’s Quick Disconnect fitting, allowing the cleaning solution to be injected into the bag through a sealed connection. With the BioFlo Quick-Clean system, cleaning your collection bags becomes a quick, no-mess process. 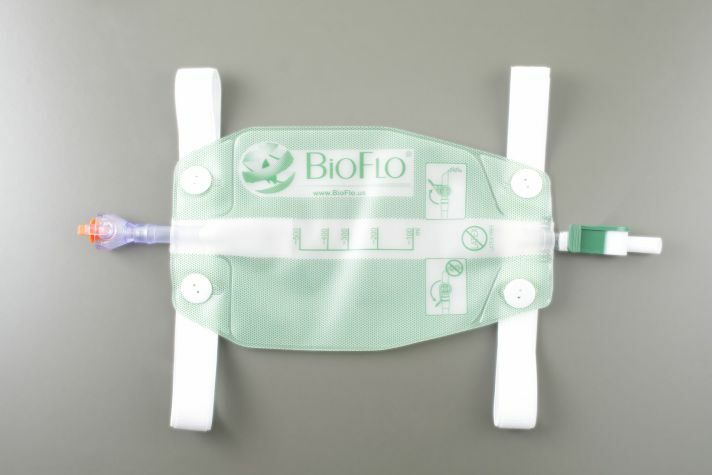 The BioFlo Quick Disconnect Day/Leg Bag is a patented, 750 ml collection bag that includes an anti-reflux valve to prevent backflow into the drain tube, a twist-to-release drainage valve for voiding the bag’s contents, and two latex free, elasticized Velcro straps for securing the bag to the wearer’s leg. All BioFlo Urinary Management products feature the revolutionary BioFlo Quick Disconnect. The patented BioFlo® Quick Disconnect system allows for safer, faster and easier attachment and detachment of BioFlo collection bags. The folding or clamping of drain tubes during collection bag changes is no longer necessary. 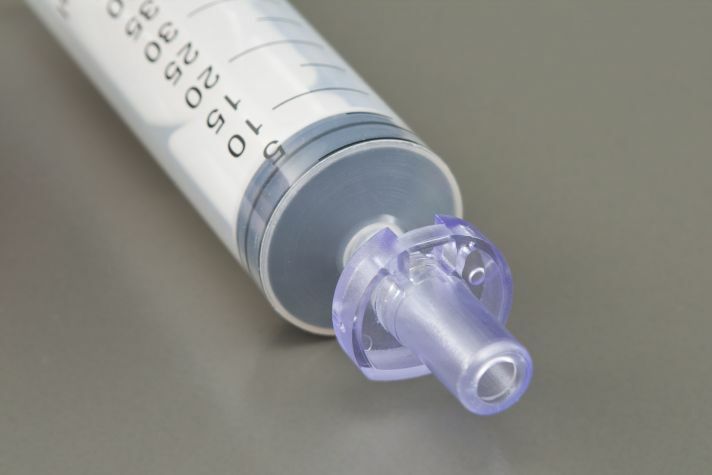 With the push of a button, the Quick Disconnect enables the collection bag and tubing to be temporarily removed while maintaining a closed system. The Quick Disconnect eliminates difficult collection bag changes, accidental spillage and unnecessary trauma resulting from trapped or pulled collection bags during user movement or relocation. The revolutionary BioFlo Quick-Clean cleaning attachment makes collection bag cleaning an easy and sanitary process, while protecting against accidental cleaning solution spillage. 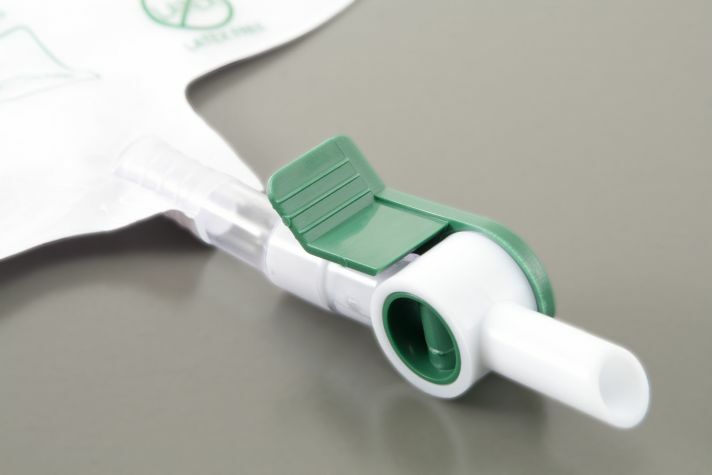 The Quick-Clean attachment is a two part system that connects to the collection bag via the BioFlo Quick Disconnect. 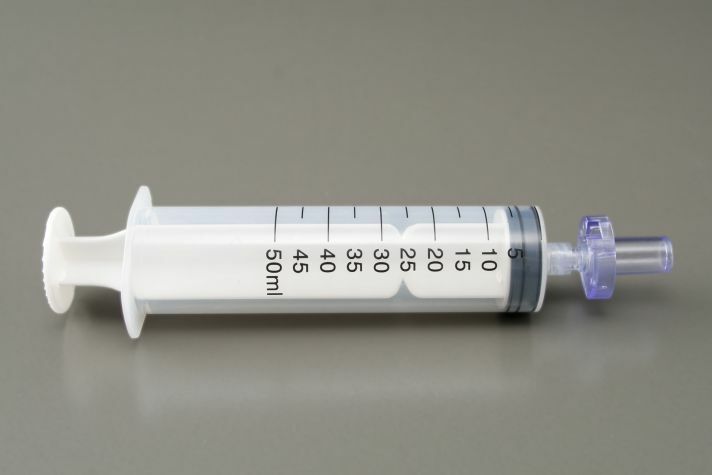 Made up of a 60 cc, screw tip, luer lock syringe, inserted into a specialized Quick Disconnect fitting, the Quick-Clean attachment securely snaps into the collection bag’s Quick Disconnect fitting, allowing the cleaning solution to be injected into the bag through a sealed connection. With the BioFlo Quick Clean system, cleaning your collection bags becomes a quick, no-mess process. 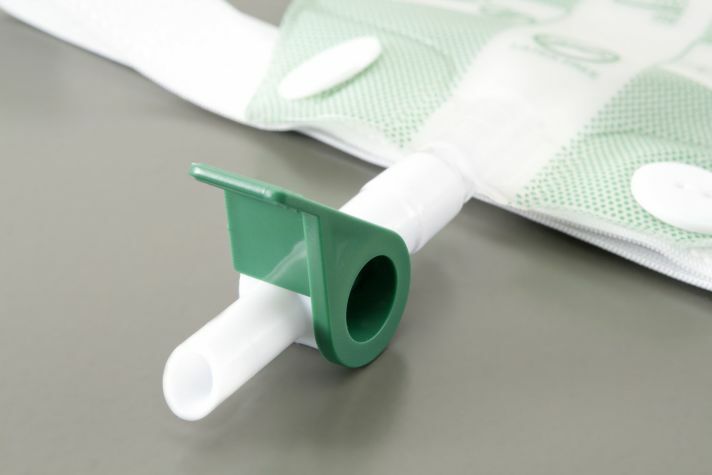 The BioFlo Quick Disconnect Day/Thigh Bag is a patented, 500 ml collection bag that includes an anti-reflux valve to prevent backflow into the drain tube, a twist-to-release drainage valve for voiding the bag’s contents, and two latex free, elasticized Velcro straps for securing the bag to the wearer’s thigh.